AT&T cuts prices on BlackBerry BlackBerry Bold and Curve 8900 | BlackBerry Blast! AT&T has dropped the prices on two BlackBerry models. The price cut for the BlackBerry Bold was released last year and is probably due for a price cut, but the BlackBerry Curve 8900 has been out for a few weeks which makes the cut surprising. 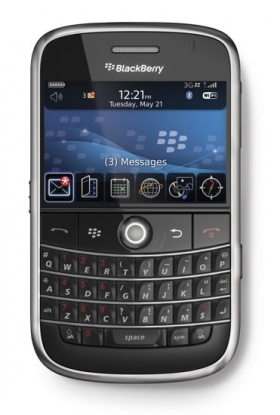 The BlackBerry Bold can now be purchased at AT&T for $199 after a $100 rebate. The Curve 8900 is now down to $149 after a $100 rebate. Of course both phones require new contracts to get these prices.